TEHRAN (Tasnim) – Finally, Trump of the Tropics -- Brazilian President Jair Bolsonaro -- is meeting the Bolsonaro of the North -- Donald Trump himself. Tuesday's White House gathering will bring together two men who were surprise election winners, sweeping to power on a promise to end politics as usual in their giant countries. Like Trump, Bolsonaro is a populist who delights in shocking leftist opponents and, like the US president, stands accused of darker far-right tendencies. Since his 2018 election, Bolsonaro has worn his nickname Trump of the Tropics with pride. Such are the similarities, that White House national security advisor John Bolton now jokes the compliment can be turned around. "I think up here we will call Trump the Bolsonaro of North America," Bolton said on Brazil's Globo television ahead of the visit, AFP reported. A Trump-Bolton bonding is an opportunity to rewrite the rules in the often-fraught relationship between Latin American countries and their giant northern neighbor. "It's the first time in a long time that a Brazilian president who is not anti-American comes to Washington," Bolsonaro tweeted. Or, as a senior Trump administration official told reporters Monday, Bolsonaro's election "broke all the historic taboos." This matters for the US-led campaign to pressure Venezuela's hard-left President Nicolas Maduro from power, as well as pushing back against growing Chinese economic influence across South America. A Trump-Bolsonaro bonding could also have large-scale implications for the future of efforts to slow or reverse global warming: Brazil is home to much of the threatened Amazon rainforest and Bolsonaro, like Trump, is a climate change skeptic. Trump has already vowed to pull the United States out of the Paris Climate Agreement, a giant international deal on cutting carbon emissions. Bolsonaro is toying with following suit. 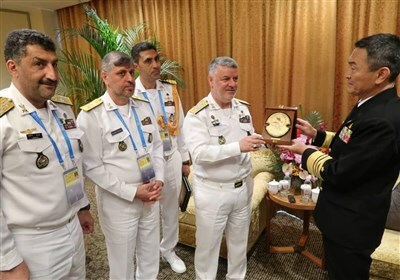 The US administration official, who asked not to be identified, said that nothing less than a new "north-south axis" was on the table. Bolton, an influential hawk in Trump's foreign policy team, is particularly effusive in his praise. Bolsonaro "has the characteristics of a real leader, very ambitious for his country," Bolton told Globo. "I think he is a plain spoken. He says what is on his mind. In America plain-speaking is always a virtue. So I think the two of them will get along very well." Bolsonaro will hold private talks with the US president before they appear at a joint press conference in the White House Rose Garden. Concrete items under discussion include US use of Brazil's Alcantara space launch base and Brazil's push to get Washington's backing for entry into the OECD, a club of rich democracies. The Brazilian leader, who spent years as a fringe congressman before his dramatic elevation to the nation's highest office, is clearly delighted with the reception he's getting. He tweeted that being given use of the White House guest lodgings known as Blair House was "an honor extended to us that very few leaders have enjoyed in the past." That's not true: Blair House is used regularly by White House guests. Less usual was Bolsonaro's previously unannounced visit to CIA headquarters on Monday. It was a sign of US confidence in Bolsonaro that he wants his new friends to know he'll repay. 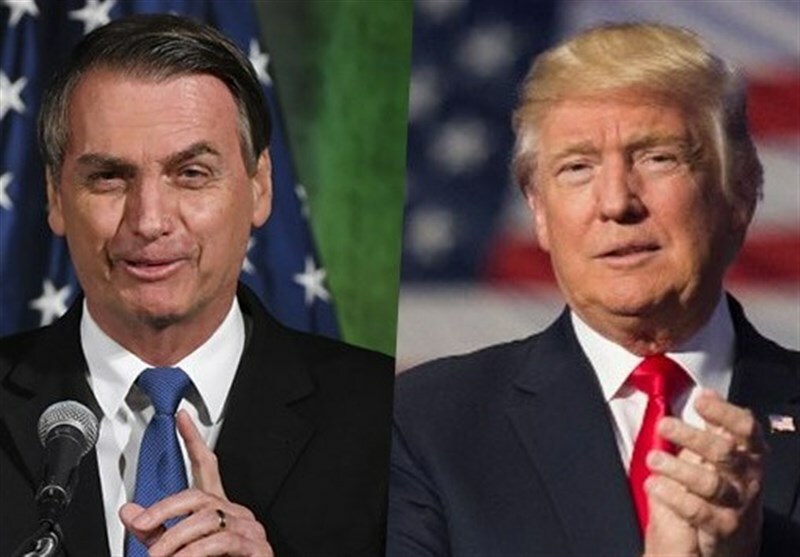 "Brazil and the United States together throw fear into defenders of backwardness and tyranny around the world," Bolsonaro tweeted ahead of his meeting with Trump.